Diamond is celebrating its 30th year providing embedded computing solutions. During this time the technology landscape has changed dramatically, with shrinking form factors, faster processor speeds and increasingly robust software to name a few developments. Diamond’s new family of NVIDIA® solutions reflect these advancements, including Ziggy™ (also available as a system, ZiggyBox™) Jethro™, Stevie™, and Elton™, enabling Artificial Intelligence (AI) and Machine Learning (ML) high performance applications in both industrial and rugged scenarios. Click here to learn more. Diamond's ongoing focus is on rugged, I/O-rich solutions. In keeping with this strategy, our newest solutions swing the spotlight onto PC/104 once again. 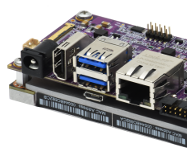 Our new Elton carrier board marries the supercomputer speed of the NVIDIA Jetson AGX Xavier module with a PCIe/104 Type 1 connector. 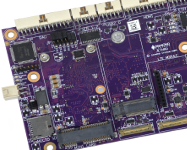 This unique combination enables the deployment of NVIDIA high performance computing technology into rugged environments, while offering reliable high-speed expansion using PCI Express I/O. Click here to learn more. 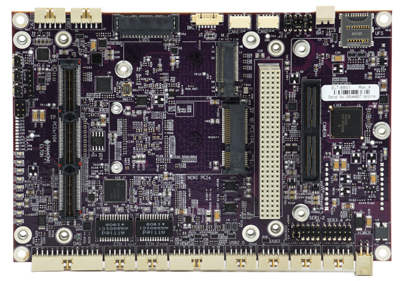 The Elton carrier board was awarded Best in Show Computer Boards, Systems & Components by Embedded Computing Design. ©2001–2019 Diamond Systems, Corp. All rights reserved. Diamond Systems logo is a trademark of Diamond Systems, Corp.